Here are a few points to keep in mind while choosing the right mobile app development company. Mobile apps are becoming a favourable option for boosting business growth in this new age. Market trends are constantly changing for mobile apps and it can be quite tricky to make a successful app. Apps can prove to be highly profitable if things go well. Your evaluation for an app development company begins with checking out for their portfolio. A little background evaluation goes a long way in selecting the right suitable company for your dream project. It gives you a clear understanding of the capabilities of the company in question. It also provides you with an insight into the type of work they prefer and the clients they have worked for in the past. You can always compare the work of two different companies by looking at their portfolio to come down to a conclusion. A good app development company will always be transparent in displaying the client reviews; be it good or bad. Also, ask for client references from them to be sure about the quality they provide. You will always find recommendations for good companies over the others. So look out for the developers or companies recommended by others. It helps you in investing your time and money over a good firm in the long run. A mobile app development firm providing quality services and products at higher rates is far better than the one offering less qualitative services at cheap rates. Quality is a must you should look out for when selecting the right firm for your dream app development project. Surely, prices play a significant role and you must search for a company providing services at market rates but do not take a decision just based on it. Cheap doesn’t always mean better. Keep that in mind. 4. Do They Welcome New Ideas? This may sound absurd but it is vital in selecting an app development company who believes in a collaborative approach. After all, it’s your dream project and you must find a suitable company who is open to new ideas. Sometimes, it may happen that a company you wish to hire follows a different vision than yours. This may lead to arguments and clashes of thoughts while developing the app. You should avoid this by looking out for a company who always welcomes new ideas. Hire a firm who are as much keen and eager towards your project as much as you. The reason is an app that is not developed with interest will likely fail on the app store or even worse you may receive a half-built app that will be of no purpose at all. 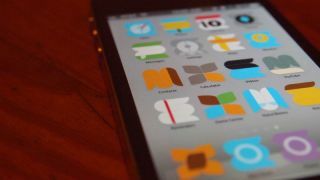 An app development company with good experience knows very well what works out best on the app store and what doesn’t. Developing an app is one thing and the choice of platform is another thing. The key here lies in finding a platform that is best suitable for your business market. Ideally, there are two options available to launch your app in Apple's app store or Google's play store. Some businesses may also choose to launch apps over both the platforms. When you evaluate an app development company, it is advisable to look out for their platform preference. Deadlines play a key role in your dream app development project. You are investing your time, efforts and money. So, consider choosing a company who can provide you a quality output within a specified frame of time. Are they delivering services on time? Are they offering extended support after launch? These things support your business in being productive without much fuss. These things help you for being assured of their project management capabilities. A good firm will analyse your business policies and procedures to align their project development accordingly. User experience plays a key role in the success of an app. You are developing an app for users and so they are your prime concern. Even if the app development company builds a great app but fails to provide a rich experience to your customers, the app will be of no purpose to you. A good app development company understands this and keeps it in mind while developing an app for you. It is necessary to choose such a firm who also looks into such aesthetics while developing an application. It is always great to hire someone who understands the way you work and enjoys it. This calls out for building a good relationship, firstly, with your potential app development partner. This may be advantageous in a number of ways. You can go back to them for your future project needs, or even absorb them into your business. By maintaining a good relationship, you are creating a way for your future references. They can refer your business to others in the future. Our company firmly believes in this set of checklists for approaching the right clients and businesses and the results are impeccable. We have received good feedbacks and reviews from small to large scale businesses who believed in evaluating with these process parameters. Following these evaluation points can save your business from any uncertainties in this competitive world.